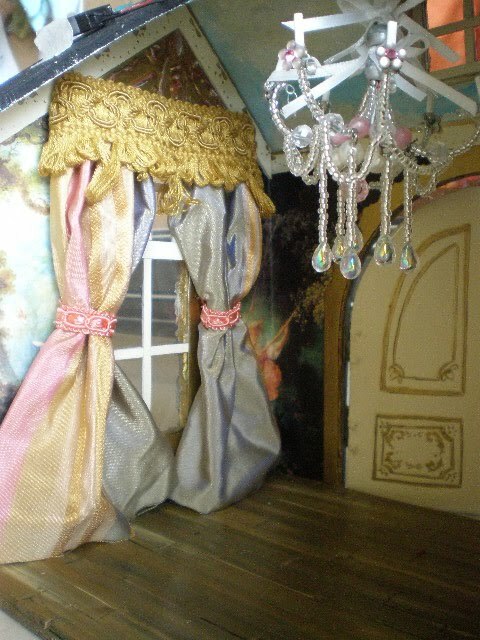 Cinderella Moments: Marie Antoinette Secret Folie Barn Dollhouse: The End is Near! 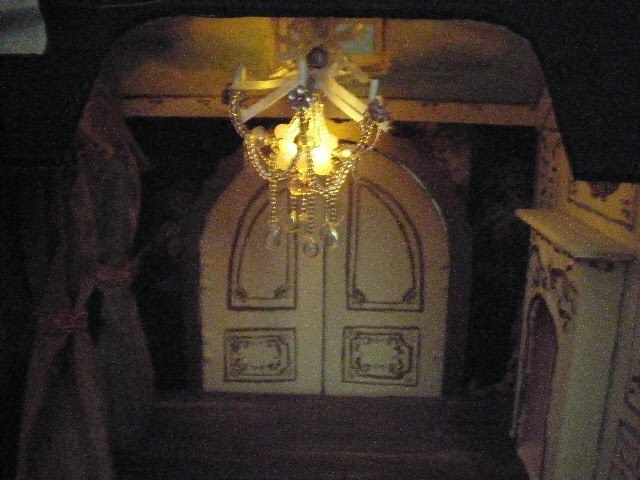 Marie Antoinette Secret Folie Barn Dollhouse: The End is Near! I've been working on the outside. I've started putting on the roof shingles. What is that stuff? It's some sort of packing material. I think it came with the tv wall mount. It's a little like egg carton, except thicker and less compacted. It's awesome! The second I saw it I knew it would become shingles! I also did the dormer. 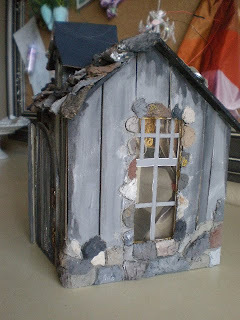 I also colored some of the stones and aged the siding some more. Inside it's drape time. Silk taffeta of course with gold trim! I decided to paint the bulb again. This time with a golden brown. The intensity is exactly like candle light. Very warm and dim. Thanks so much for the sweet comment you left on my blog! Your blog is wonderful! I love love love all the little chandeliers! 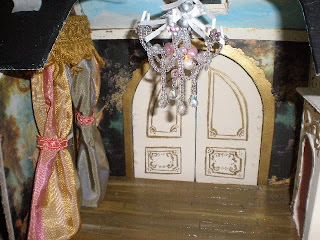 By any chance did you see Marsha's (Sassy Mini Dolls) Marie Antoinette doll? If you love Marie A., you'd love this doll! 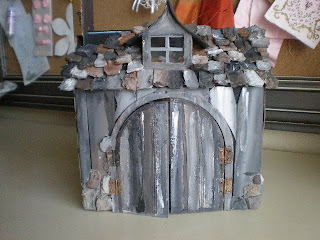 What a wonderful job you have done on this house- it's beautiful! Love the opulence of the drapes! Love, love, love this...how is that light..lighting up?? Glad to read that someone else looks at things like packing and knows instantly it would be good for a project. I was spurred on to created it, after pricing dollhouse fixtures and being shocked that they were almost as expensive as full size real-life chandeliers. Se ve preciosa, las tejas me encantan son muy originales! !